Finance bosses have agreed to hire more female executives -- or face cuts to their pay. The U.K. biggest banks and insurers -- as well as some leading U.S. banks and investment firms -- have signed up to a British government initiative designed to bring more women into top positions. Among other commitments, they agreed to link the bonuses of their senior executive teams to the appointment of women to leadership positions. The companies include big U.K. banks like Barclays (BCLYF) and HSBC (HSBC), as well as Deutsche Bank (DB), Morgan Stanley (MS) and BlackRock (BLK). Together, the 72 firms employ over 500,000 people across the U.K. The firms agreed to set internal targets for gender diversity in their senior management, publish progress reports every year, and appoint a senior executive responsible for gender diversity and inclusion. 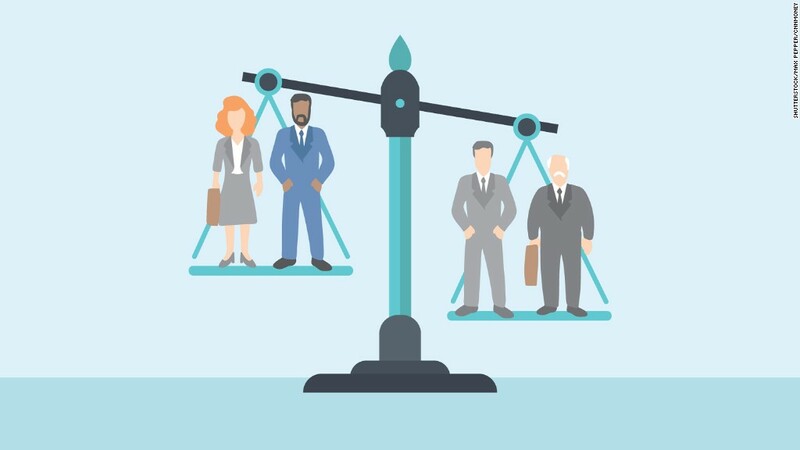 "A growing number of chief executives and boards within the sector are taking the issue seriously and recognize the strong link between greater gender balance and improved productivity and performance," said Jayne-Anne Gadhia, the chief executive of Virgin Money. Gadhia was in charge of a government-backed review into the representation of women in financial services in the U.K. She found that while almost a quarter of board members in U.K. financial services are female, only 14% of executive committees positions are held by women. Around 60% of the financial services industry's 2 million employees are women. But they occupy only 25% of middle management positions and 19% of senior level positions. The review showed that big banks had the highest proportion of women in leading positions, while hedge funds and private equity funds trailed at the bottom. In a separate move, London's new mayor Sadiq Khan has ordered London's transport, police and fire departments to produce gender pay audits and draw up plans on how to close the gaps. Big British companies are already being required to come clean about how much they pay their male and female employees. Starting 2018, they will have to publish detailed information about gaps in salaries and bonuses. The plan is part of the government's strategy to put an end to gender pay discrimination.